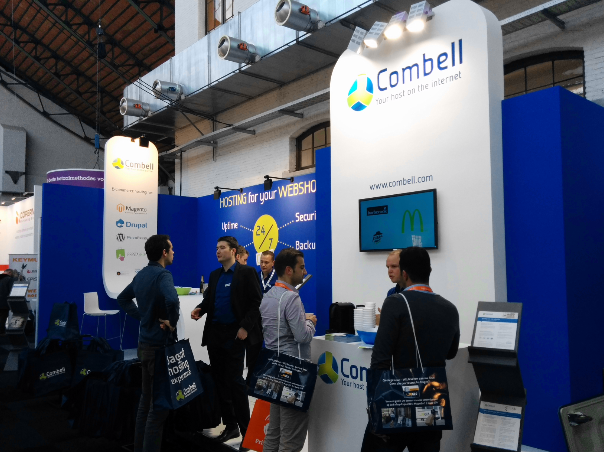 On 19 and 20 March, Combell was again present at the e-Shop Expo trade show that was held at the Tour & Taxis exhibition centre (Brussels). Curious start-up entrepreneurs who came to visit the neighbouring trade fair Ondernemen/Entreprendre took the opportunity to come and see what they can do to make their business successful online too. Others already had an amazing idea for a new web store and only needed some information to make their project come true. Visitors were instantly referred to reliable partners and returned home with all the advice they needed. 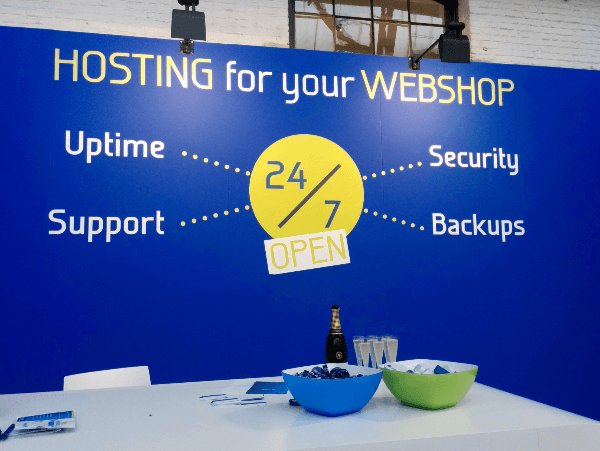 One by one, they received personal advice on choosing the most suitable hosting solution or an appropriate domain name. 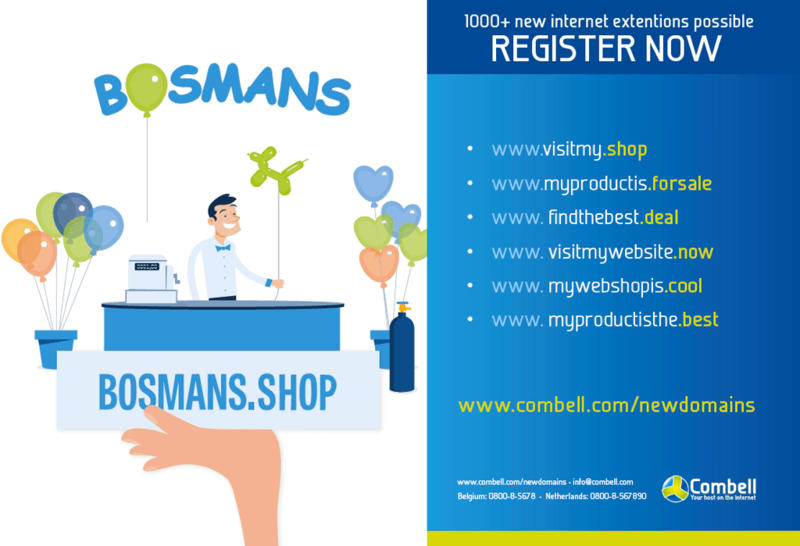 Mister Bosmans also made its debut with his advice on the new domain extensions, which will lead to major changes in the Internet landscape, like .shop, .forsale, .now, .best and .cool. 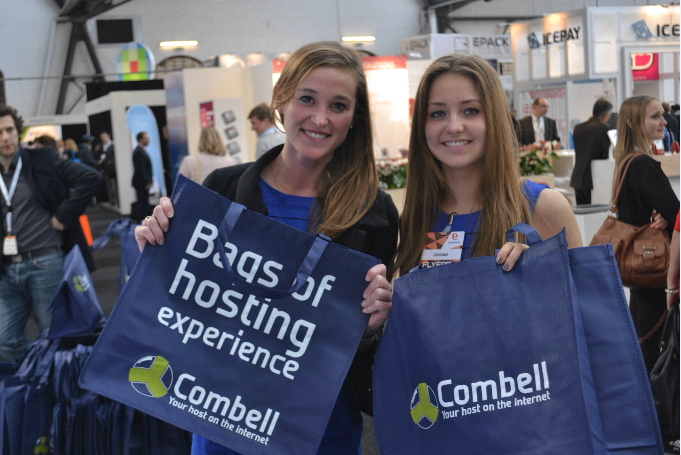 Delicious Nespresso coffee was served by our lovely hostesses and our handy Combell shopping bags were also a huge success. It was a dynamic trade show with interested visitors constantly coming and going. 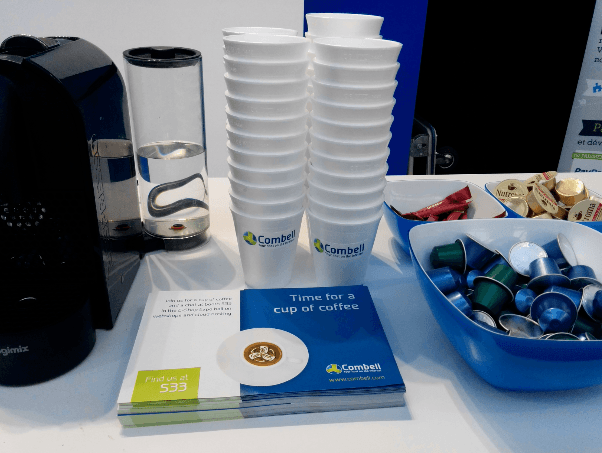 This trade show offered a great synergy because we were surrounded by both customers and partners. On that day, customers like PHPro, Intracto, Duo and Studio Emma, and partners such as Feweb, Safeshops and Ogone, were also present. Day after day, they provide beautiful designs, efficient payment methods, and also collaborate at all levels. Our common goal is to ensure, all together, that your web store has all it needs to become a real success! Check out the pictures from these exciting days on Facebook.